Discover how you can help your local family Zoo. This giving season, we're asking you to Choose the Zoo. With your support, we can continue to provide the highest quality animal care and be a resource for conservation and education throughout the region. Support the Central Florida Zoo. Any donation, big or small, helps us feed, care for and protect our planet’s animals while educating and engaging the Central Florida community on our mission. From a giraffe or rhino, to a black handed spider monkey, or even a playful otter, adopting a Zoo animal lets you become an important caretaker for these exotic creatures. Making a difference through conservation. 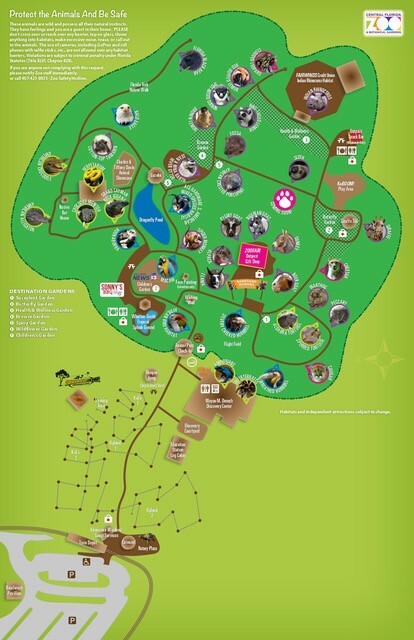 The Central Florida Zoo & Botanical Gardens is a center for science and conservation, with great learning opportunities and a strong commitment to improving animal health and welfare. Donate your time to a wild cause. Put on your best smile and join our team at the Central Florida Zoo and Botanical Gardens. We offer many different volunteer opportunities, so you're sure to be part of a great adventure. From event sponsorships to philanthropic donations, you can form a partnership with the Zoo to promote your product or organization and fulfill your corporate citizenship needs. Tribute gifts and planned giving. Tribute gifts, including memorials and commemorative benches, as well as planned giving allow you and those closest to you to continue supporting our organization and our commitment to conservation and education.